Owner has invested $35,000+ into this property including an addition, new basement wall and materials but it needs your love and attention to complete this what will be a beautiful home. 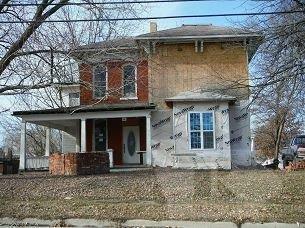 4 bedroom, 2 baths were slated here, but at the moment the property has been stripped down to the studs. Needs foundation work before going any further on the inside. Property does not include the shed in the back yard and may be surveyed off to reduce size of lot, depending on offers received.